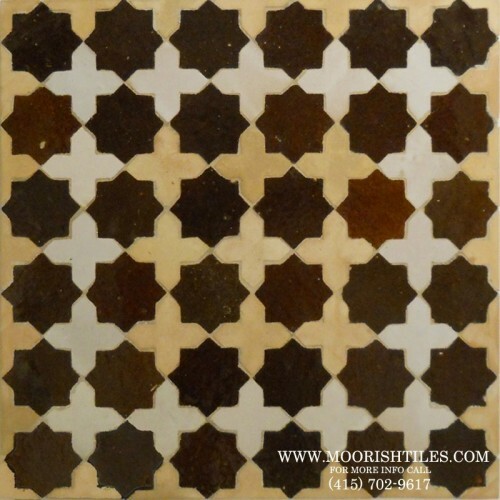 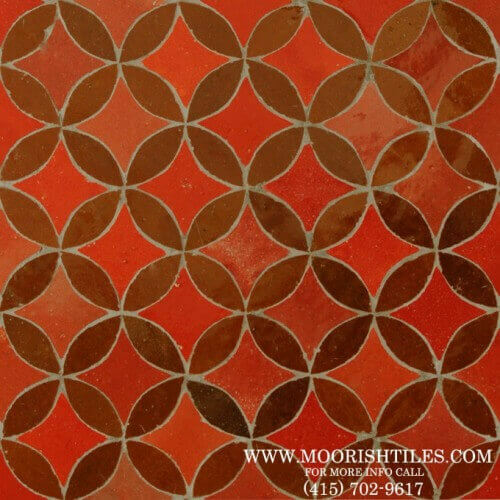 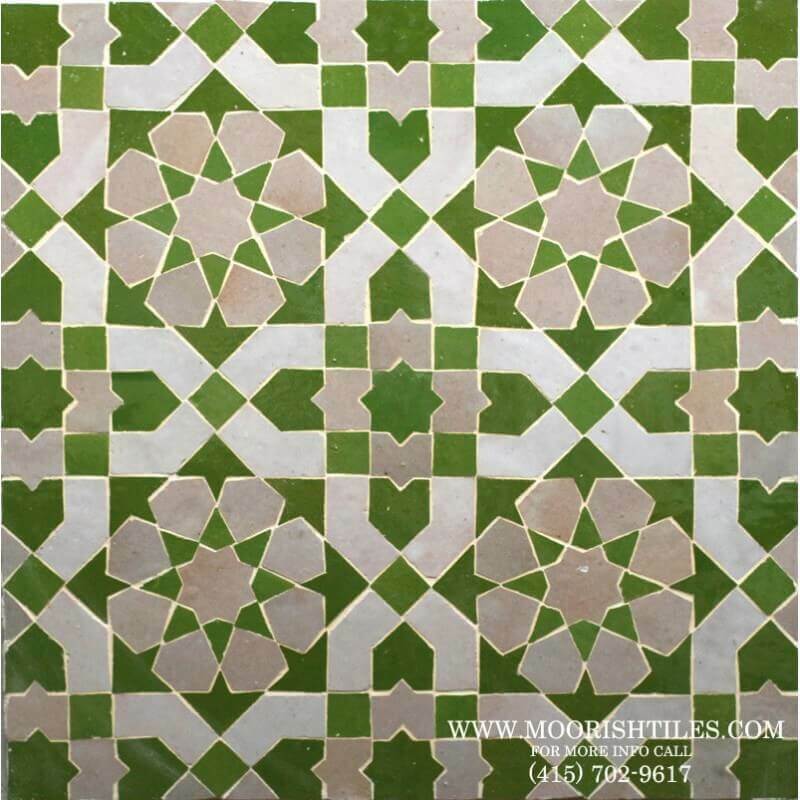 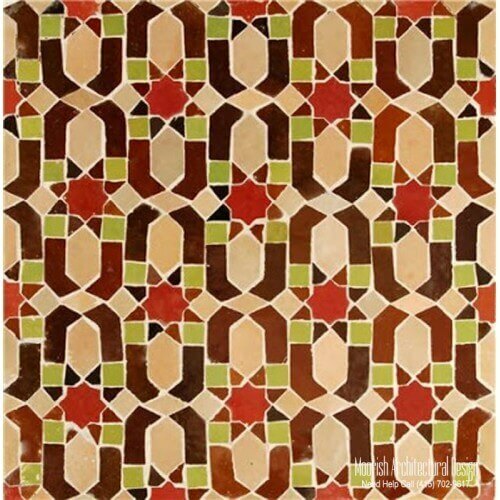 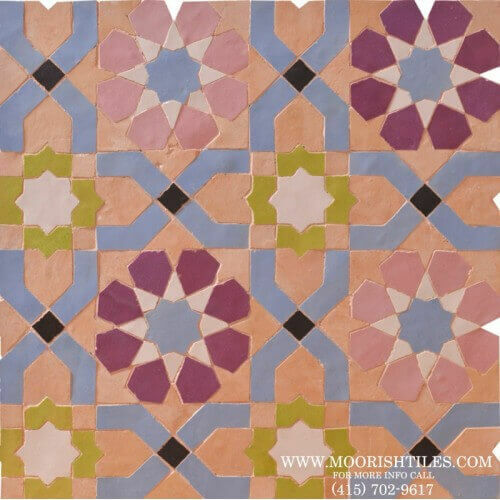 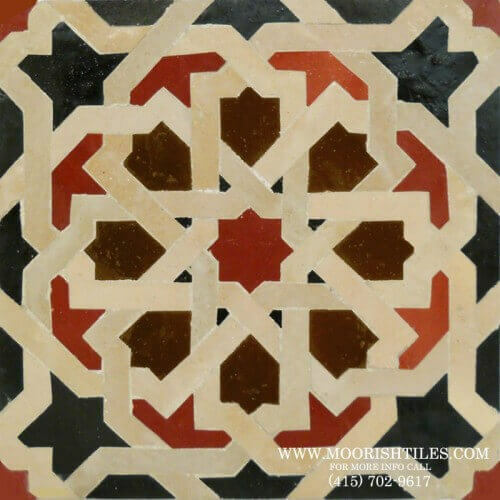 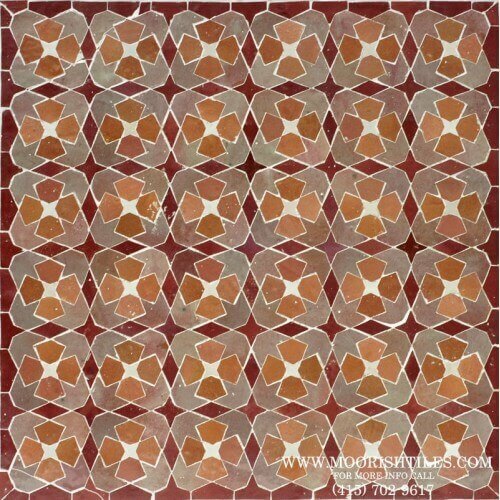 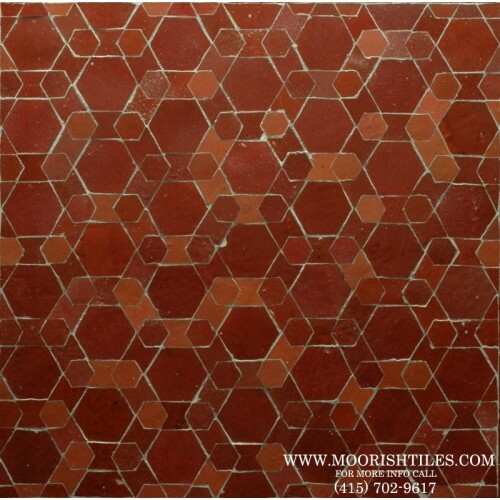 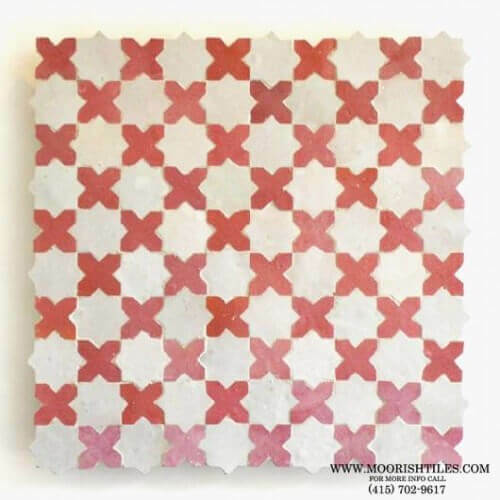 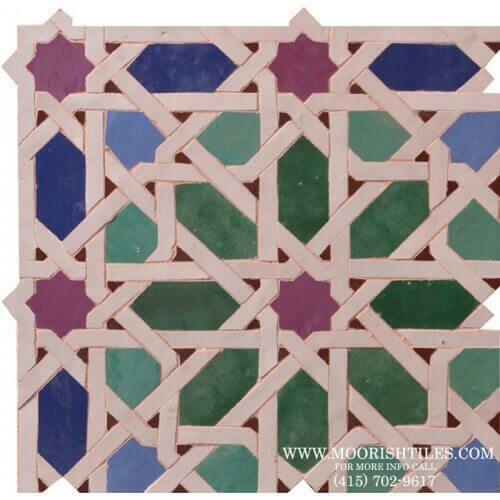 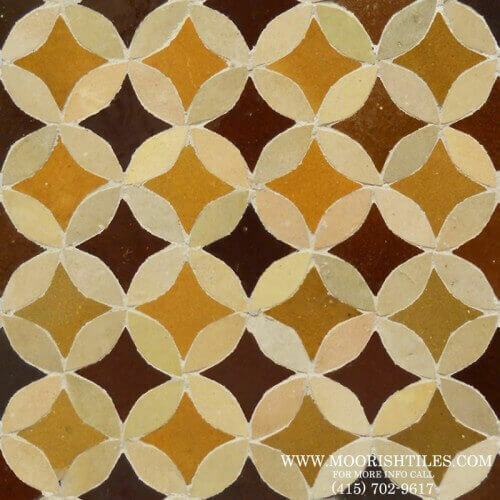 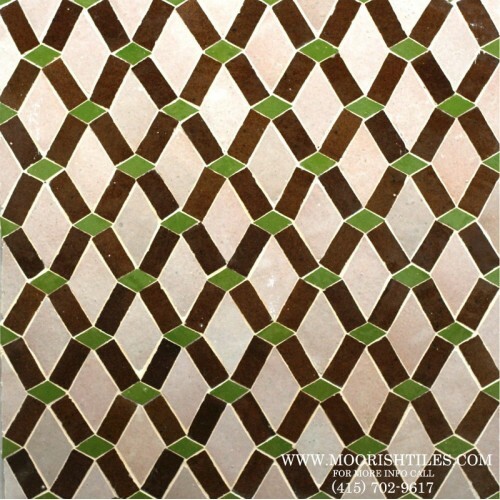 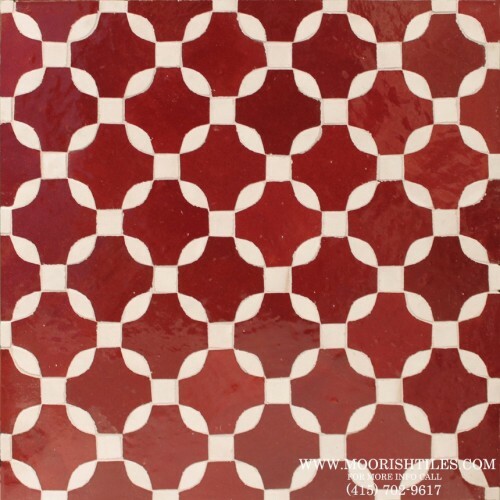 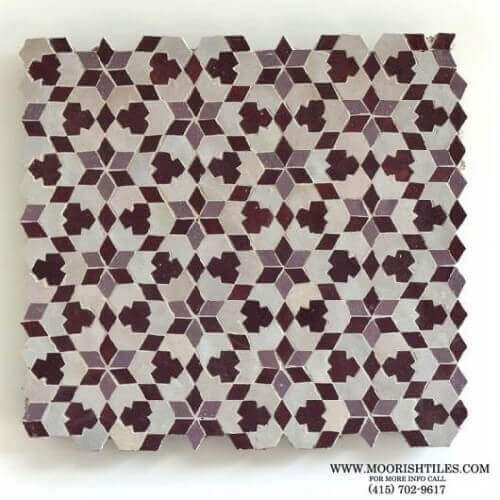 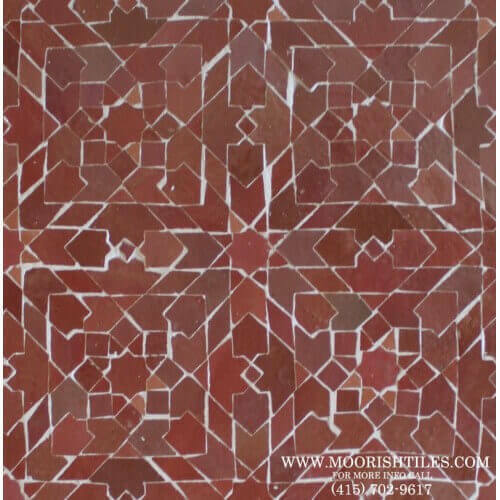 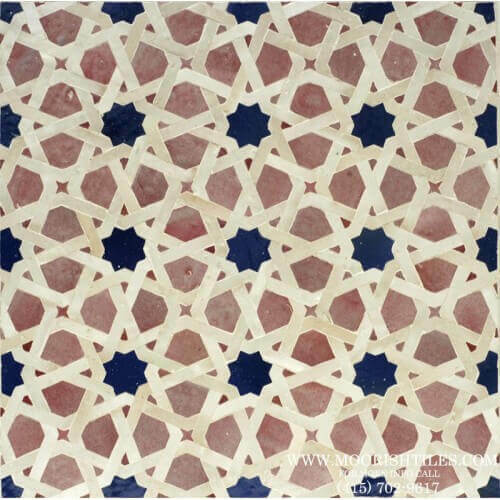 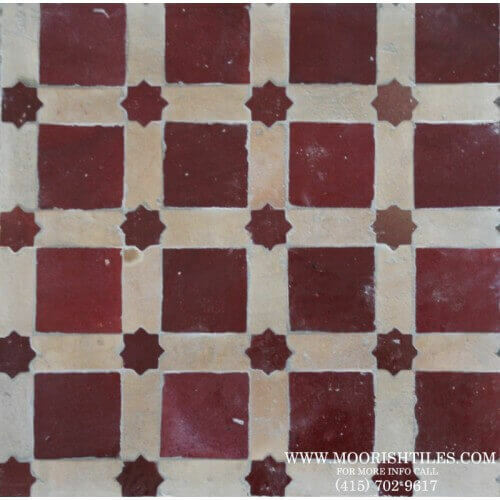 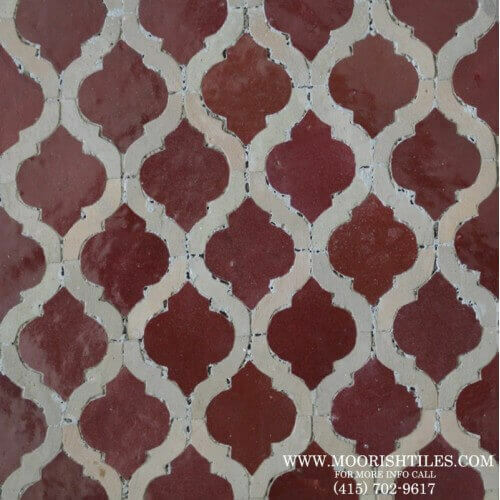 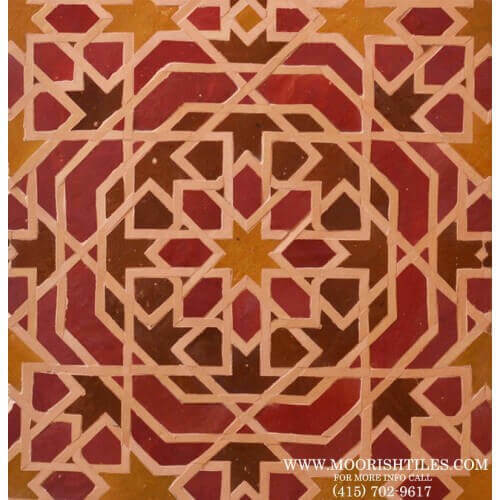 Our Moroccan Mosaic tiles are all handmade in Morocco using traditional and ancient Moorish tile making techniques, we bring custom and specialty tiles to your space to create living works of art. 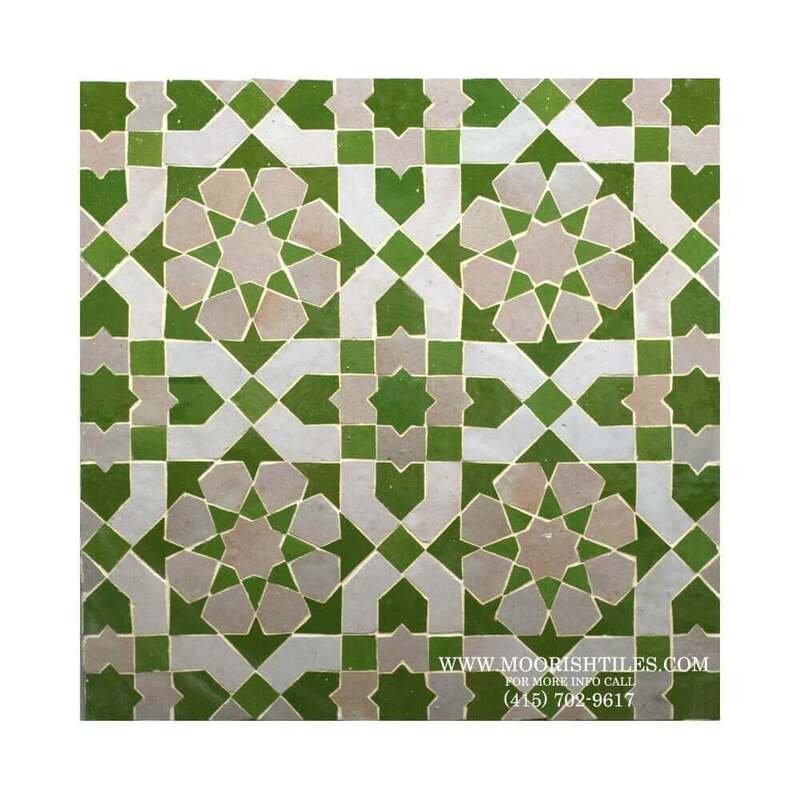 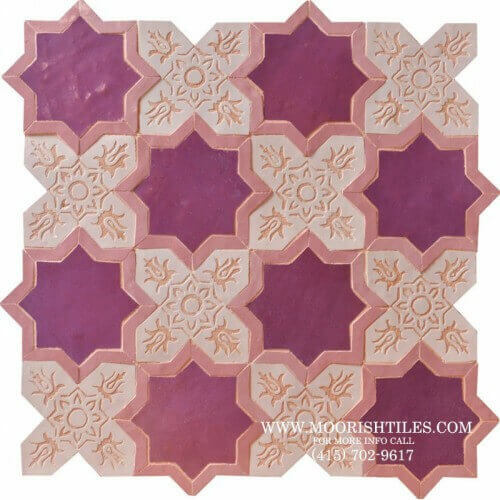 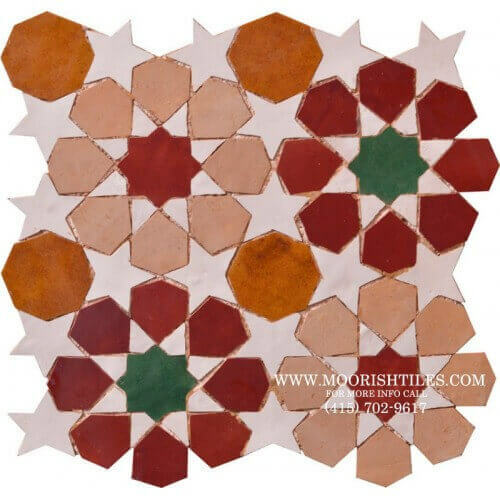 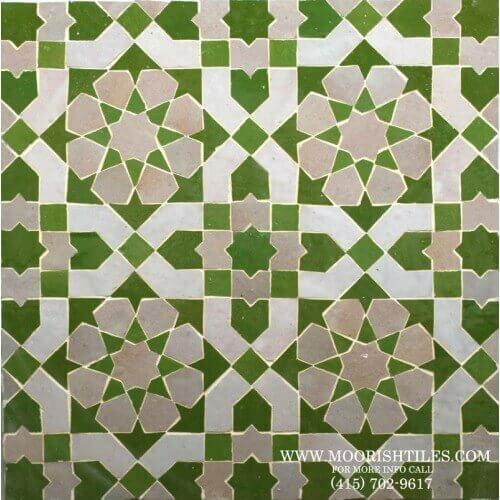 Use these colorful green hand chiseled and handmade Moroccan tiles for decorative accents on kitchen backsplash, bathrooms floors, vanities, window surrounds, fireplaces and more. 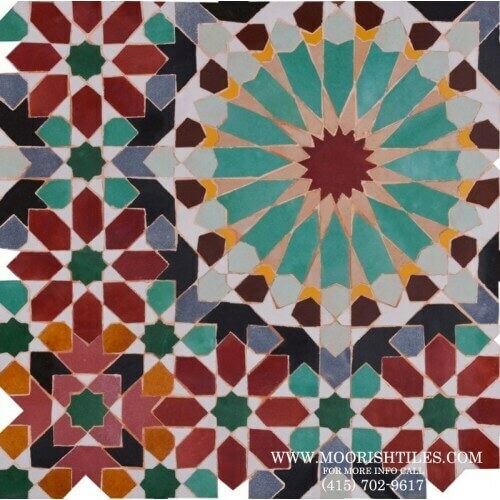 Be inspired and experience the delicate charm of these hand painted treasures. 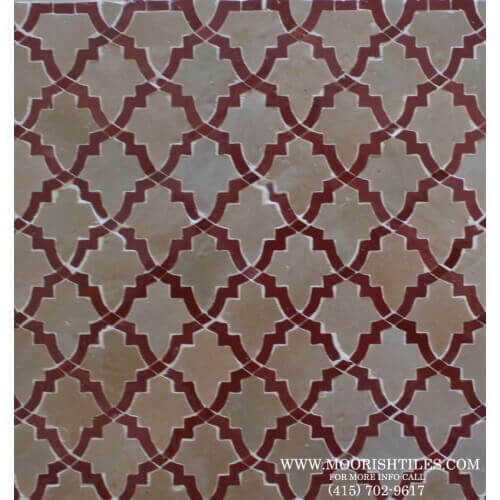 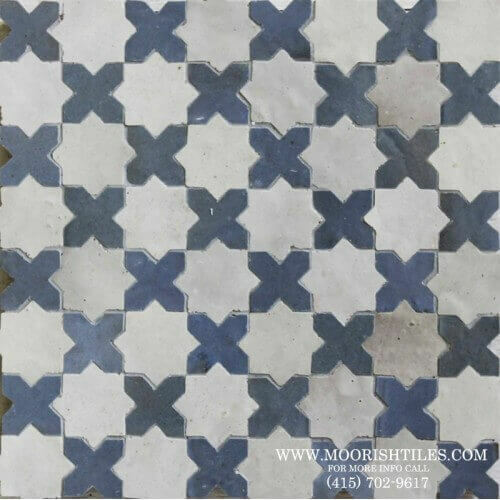 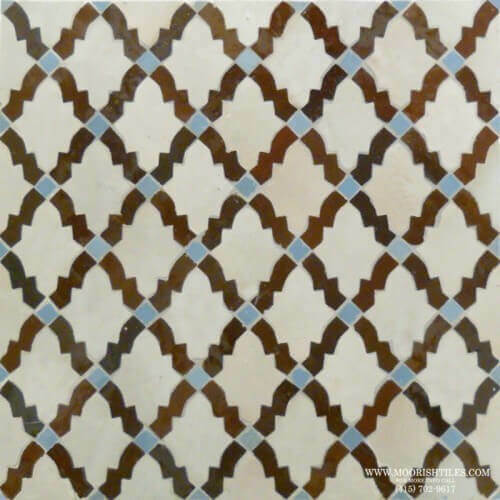 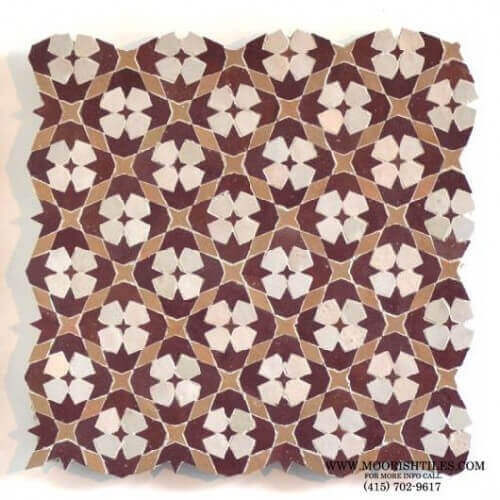 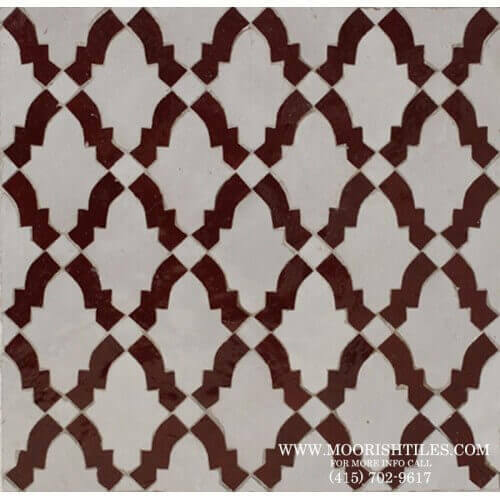 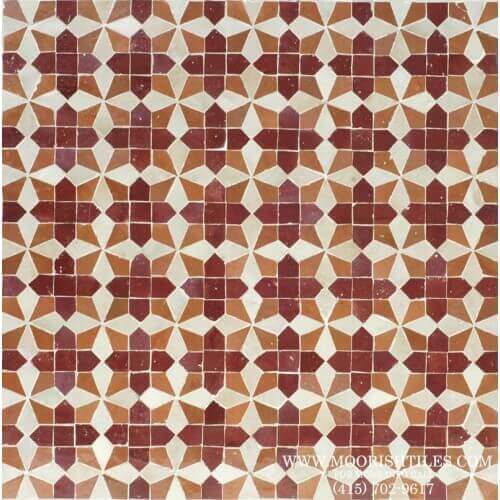 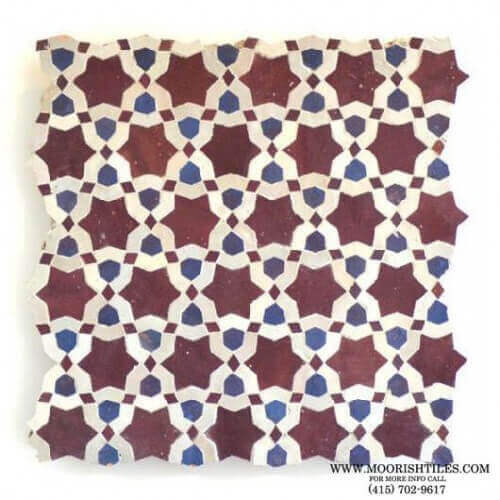 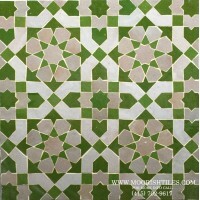 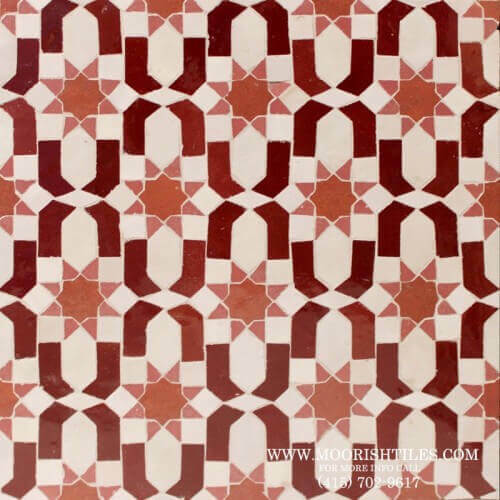 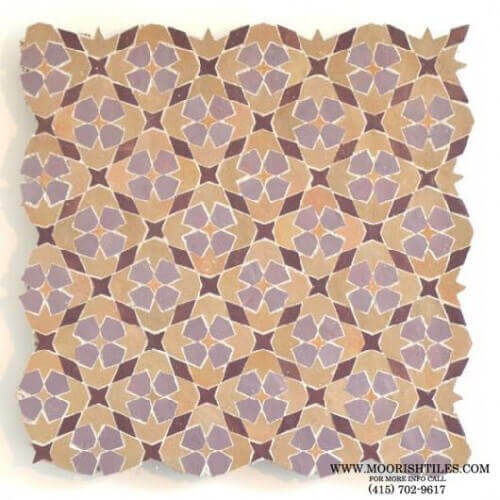 Our Moroccan Tile designs are fully customizable and each pattern is available in our full range of Zellige colours.